Like the majesty and magic of America’s wild horses that informed the creation of this project, the music on this album is highly evocative and emotional – a mystical infusion of beauty and tenderness – of power and potency. The impeccable blend of Jennifer Grais’s beautiful and haunting vocals with Byron Metcalf’s renowned tribal-trance drumming and production style creates an astounding listening experience of numinous depth and sonic ecstasy. Horse as ‘Spirit Animal’ represents and mirrors the innate life-force, power, wildness, and the instinctual impulse for freedom within all of us. 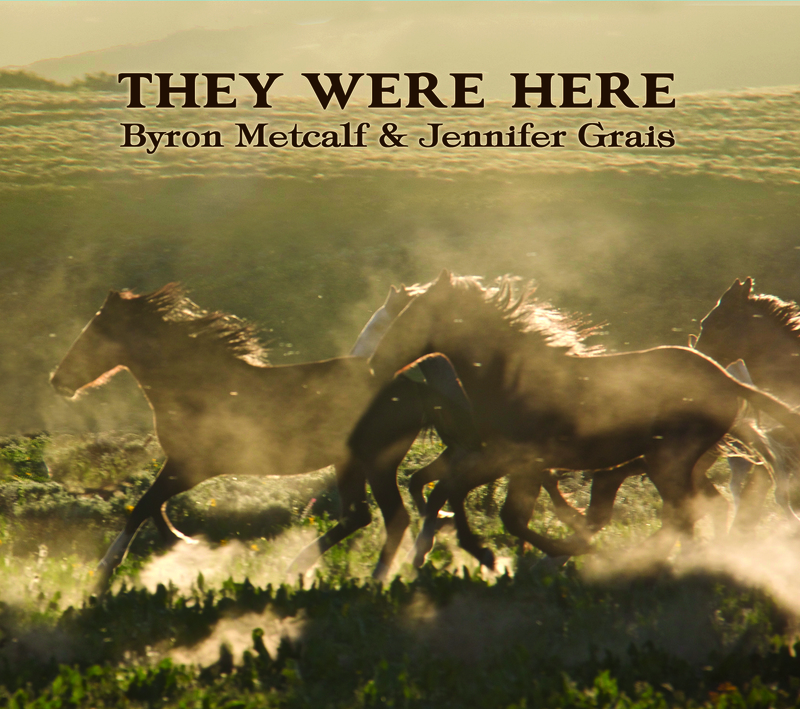 They Were Here takes the listener on a unique shamanic adventure – a freedom ride of soaring potential and along the way they are held gently and safely in the arms of Mother Earth.